Though it is the smallest country in Asia, Maldives is one of the most popular travel destinations not only in Asia but also in the world. This small tropical nation in the Indian Ocean is known for its hundreds of spectacular islands, white sandy beaches, extensive reefs, blue lagoons, and endless opportunities for water-sports. 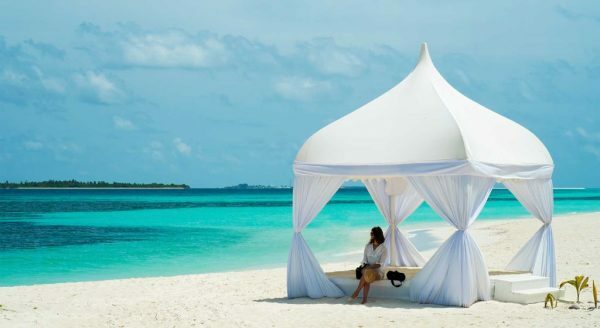 Also Maldives is known for knee-boarding, kite-surfing, snorkeling, windsurfing, banana boats, parasailing, Jet-Skiing, wake-boarding, kayaking, water skiing, catamaran sailing and canoeing. Scientists believe, with sea levels rising due to global warming, Maldives could disappear in next hundred years. The Greek islands are known for their stunning natural beauty and Santorini is undoubtedly the most beautiful and popular among them all. 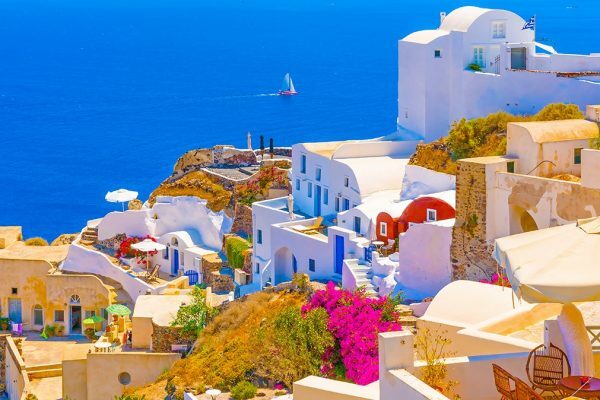 Visiting Santorini is like a dream come true as it boasts of spectacular 360 degree views, stunning sunsets, beautiful villages (such as Oia and Fira), gorgeous beaches, vibrant nightlife, and a diverse selection of food and wine. You will simply love the food and architectural beauty of Santorini. Bora Bora is a stunning island in French Polynesia. With so many wonderful and romantic things to do there, this is a popular destination for newly wedded couples. Surrounded by a turquoise lagoon and protected by a coral reef, it is a great place to go scuba diving. 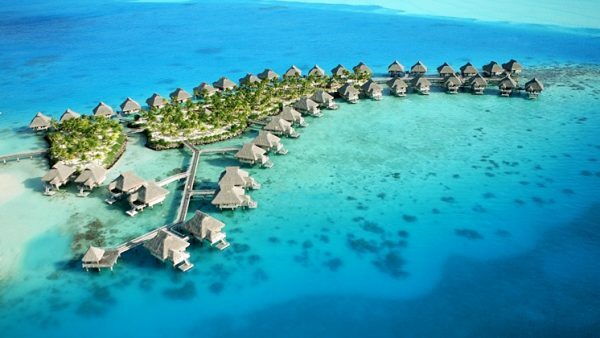 Bora Bora is also known for its iconic over-the-water bungalows and endless opportunities for adventure. You can go on the private romantic sunset champagne cruise, lagoon fishing, sport-fishing, parasailing, aqua-bike adventure, and 4 x 4 jeep safari. The Hawaiian Islands are among the most coveted travel destinations. With so many exciting experiences offered, Kauai Island is arguably the best among all the Hawaiian Islands. Known for its diverse underwater sea-life, exciting opportunities for hiking, delectable foods, spectacular sunsets, this is a great destination for various nature and water-sports. 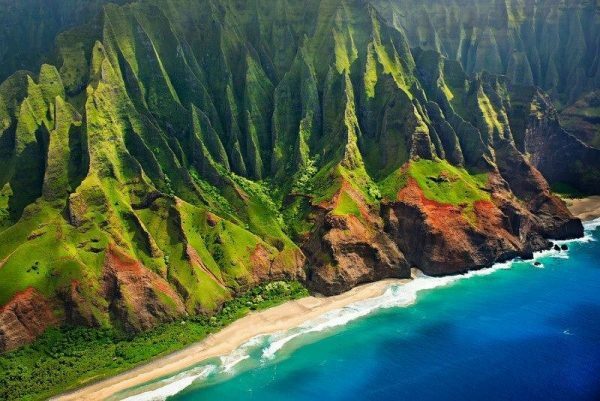 The landscape of Kauai is simply stunning; every nature lover should visit at least once in your lifetime. 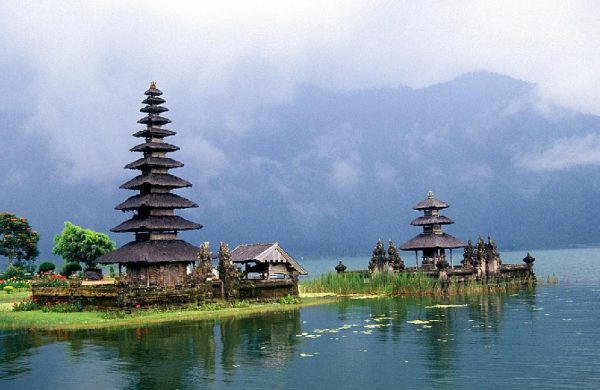 When it comes to island destinations, you have to include Bali; This scenic island boasts a variety of attractions and activities for the traveler to enjoy. With its forested volcanic mountains, religious attractions, iconic rice paddies, coral reefs and beaches, makes its a place to visit at least once in your lifetime. While Bali is perfect for honeymoons, romantic holidays, family holiday and group holidays, solo travel is perhaps the best way to discover the true magnificence of these islands. If you want to explore these islands traveling solo, you should find these tips on making friends while traveling solo helpful. Thanks for your kind words my site is still a work in progress. I don’t have a newsletter setup yet. As for promoting a website I prefer to use a combination of sites like Twitter, Facebook and Reedit etc. The layout of your site looks good. absolutely enjoyed every little bit of it. I’ve got you bookmarked too. I’m also interested in traveling too. I looked at your site; although it has a nice appearance; I don’t think a link from my site will be much help to yours. My site is about travel; yours is financial related. Usually search engines look for a site to have links from similar websites. As for promotion of your site, I agree it can get expensive. I prefer to use Twitter, Facebook and Stumble-upon; I have had good success with these. Thank you for your visit to my site. Thanks for sharing, this is a fantastic article. Much thanks again.. I read your tweet about travel and I thought I’d checkout your website. Well done Travel Itinerary. I visited your site. I like the layout and I like your writing style. I will retweet your post on the cook Islands. Thanks for this blog post; I would like to see more articles like this one. Hopefully I will write some new ones soon; thanks for your comments. that this article is nice. Your writing style has amazed me. Thanks for your visit and feedback on this article. Hello, I saw your tweets and thought I will check your website. Have to say it looks really nice!